Individual general seating tickets will be able to choose a seat of their choice behind the VIP tables. Table general seating tickets will be able to choose a table of their choice behind the VIP tables. Each table has a limit of 10 guests, please provide the names of all guests at each table. 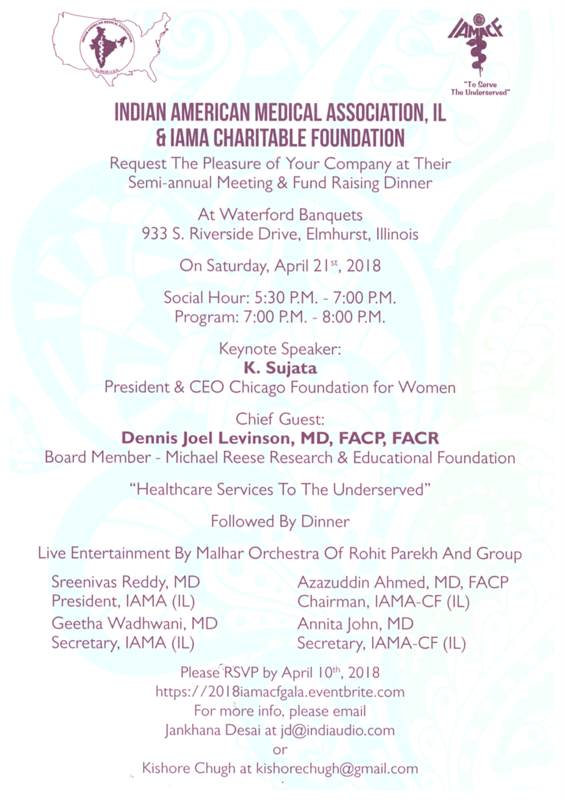 Join IAMA for our Semi-Annual Business Meeting and help raise funds to support the Charitable Foundation and Clinic. *Now you can register through IAMA. Please join us on April 21st. 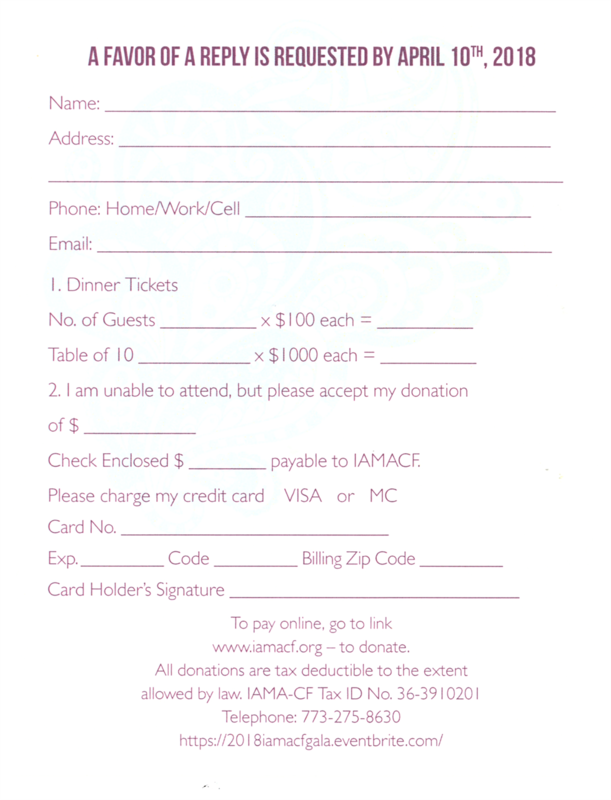 Please consider making a donation to IAMACF, every little bit helps us to provide basic medical care to those in need!